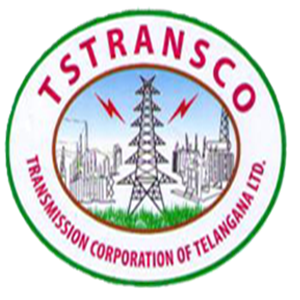 TSTRANSCO AE Answer Key 2018: Transmission Corporation of Telangana Limited (TSTRANSCO) has done with the Assistant Engineer (AE) examination on 11th March. Huge many aspirants competing to get AE jobs have appeared for the test on said date. This examination has been held in various places across the Telangana state. Almost 90% aspirants applied for the AE posts have appeared for the examination. Candidates can estimate their attempt by comparing their answers with the answers provided by the TRANSCO. The TRANSCO Telangana is going to provide the answers keys within 1 to 2 days after the examination. Meanwhile, the aspirants can stay checking the TRANSCO website, tstransco.cgg.gov.in to download the answer key. The official website is going to provide the answer sheet for all sets, By downloading the answers, aspirants can compare with the corresponding set A, B, C, D to check the probable score. Aspirants who have appeared for the test can check some important updates in this regard from the following article. Transmission Corporation of Telangana Limited is the state level organization working for Telangana power supply and other related works. The TRANSCO is the state level organization that offers various levels of employment for the aspirants. A total of 330 Assistant Engineer (AE) posts in various streams such as Electrical, Civil, and Telecom have been advertised by the TSTRANSCO this year. Many of the interested and eligible aspirants have applied in the month of January. The Telangana TRANSCO is going to shortlist the candidates based on their performance in the written test and interview rounds. Aspirants who successfully completed all the rounds of the selection process will be shortlisted for the announced posts. The first phase of the selection process, the written test has been successfully completed by the authority. Candidates anticipating to analyze their attempt can download TSTRANSCO AE Answer key PDF 2018 after 1 to 2 days of the examination. So, that by comparing the score it is possible to determine the probable score. The selection of candidates for appointment will be made 100% on Written examination only. Only those candidates who qualify in the written examination by being ranked high, community wise and as per Spirit of Presidential order will be called for verification of Original Certificates in 1:1 ratio. Note: Mere securing minimum qualifying marks doesn’t vest any right to a candidate for being called for verification of original certificates or for appointment. The “Preliminary Key” for the Written Test conducted on 11.03.2018 for the post of ASSISSTANT ENGINEER/ELECTRICAL in TSTRANSCO is placed below. Objections may be forwarded to convener.eee@gmail.com in the attached template by the candidates, appeared for the written test Before 9.00 Hrs 16.03.2018. Objections without evidences will not be accepted. cgg.gov.in – Is the official portal of TSTRANSCO. Have a look at the page. TSTRANSCO Assistant Engineer Answer key 2018 Link appears on the homepage. Click on the link. The result of the AE examination will be announced tentatively after 3 to 4 weeks. That is the aspirants can expect the Telangana TRANSCO AE result 2018 in 1st or 2nd week of April (approximate). Soon after the department announces the information regarding the result date we will update it here on our page, stay checking for more information. Along with the result, the cutoff marks. Aspirants can check the cutoff marks and assess whether they cleared the exam or not. I got 84 marks ohh god thank you so much……. In booklet C qstn no.37 the time constant is equivalent to i guess R (C1+C2+C3). Pls tell me the correctrl ans in key it's given as R (C2+C3)..
rough measure of BANDWIDTH of a system is –option 2- phase crossover frequency. BJT Darlington amplifier is cascading of common collector and common emitter. in the booklet code -C Q.78 I am getting ans. as option 1- 1953hz. I am getting 80 marks .south zone…any chances? Hii bro. If you are from telecom.Can you tell me ur rank in ace test series 3 rd full length. Just paper analysis. Paper easy or hard. No answer vatiki em cheyali bro.Marks +1 kindha consider cheskovala. Bro I didn't attempted ace test series ..